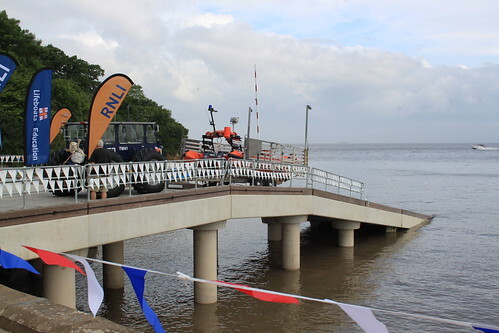 In last week’s blog post, we talked about the preparations leading up to the Portishead lifeboat station’s opening ceremony. 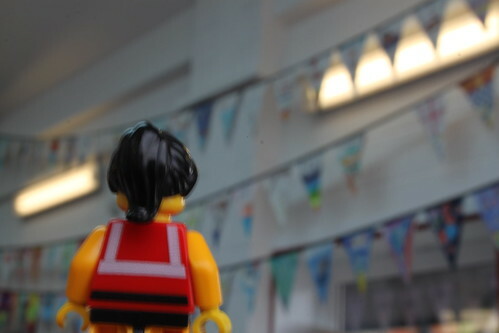 After several months of planning and hours of frenetic activity on the day, the bunting was up, the boathouse was as clean as a boathouse has ever been and all station personnel were freshly washed and crisply ironed. The preparation was finally over and the guests started to arrive. 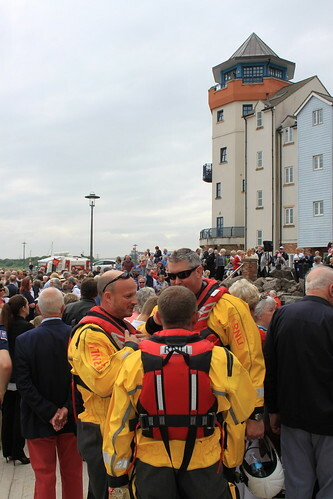 The launch team had taken the precaution of putting the lifeboat at the top of the slipway, so that she could be launched – if necessary – without disrupting the ceremony too much. Or, at least, without having to move everybody out of the way. Clearly, three burly crew members leaping into the lifeboat and roaring off in a thunder of outboards was unlikely to go unnoticed. The little guys were keen to get out and mingle with the visitors as they arrived. They seem to have developed quite a following over the last few months, so their presence generated a fair amount of excitement. 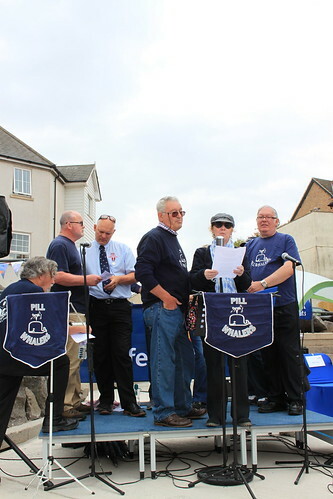 The event started with some music from the Portishead town band, followed by a few words from some of the RNLI’s top people, the station’s Chairman, the Lifeboat Operations Manager and our chaplain. 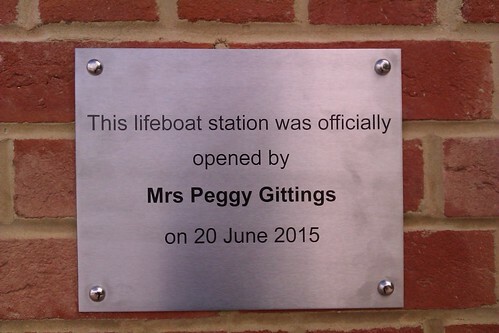 And then the moment we had been waiting for, with the official cutting of the ribbon by Peggy Gittings, whose late husband, John, had been very much the driving force behind the station for many years. 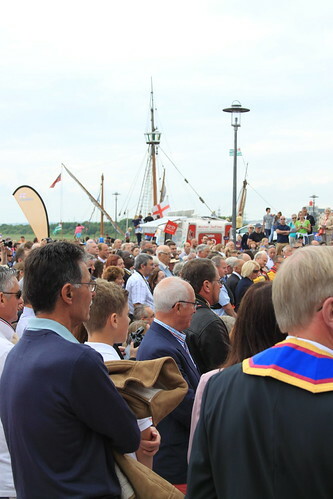 As time went on, more and more people arrived on the quay, until the place was pretty much packed. 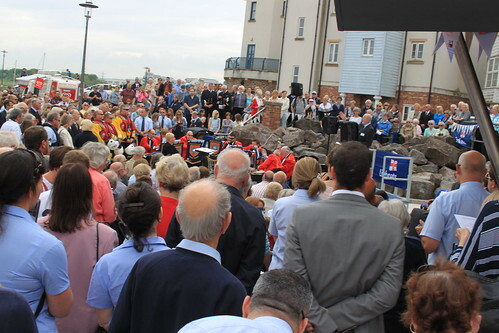 Local dignitaries, station personnel and fundraisers rubbed shoulders with representatives from other local lifeboat stations, coastguard rescue team members and local people. After the official bit was over, the three members of the boat crew who had spent the last half an hour sweating in their drysuits breathed a sigh of relief and clambered into the boat. 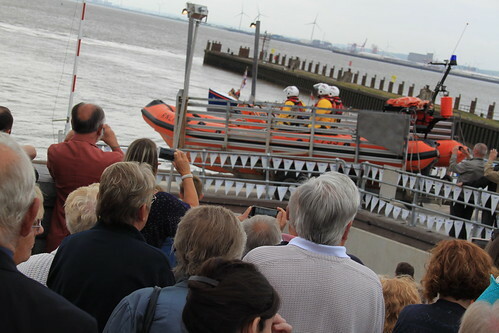 The Atlantic 75 ‘Spirit of Clovelly’ was quickly launched and wowed the crowds with a demonstration of her capabilities. 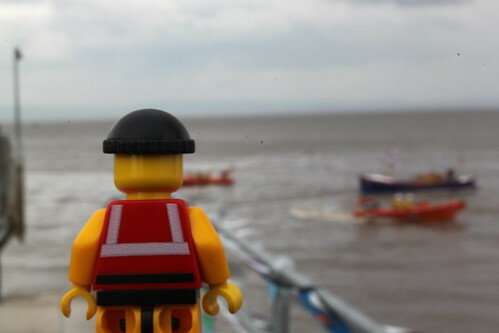 One of the lifeboats from Weston-super-Mare had also come along, so the little guys spent an enjoyable half hour or so watching the two boats in action. 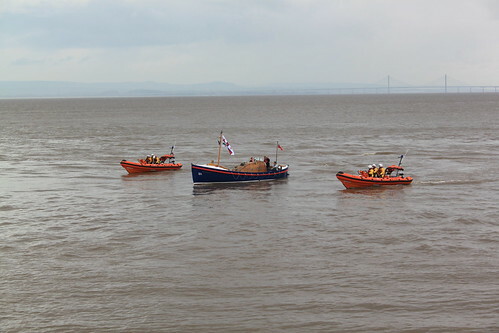 The Atlantics were soon joined by ‘The Chieftain’, a former Liverpool class lifeboat and now privately owned. Based at Barmouth from 1949 to 1982, she and her crew saved 132 lives. While all of this was going on, there was music accompaniment from a folk band and then some local shanty singers. And as you may have noticed in the photo below, the station’s own Crew Member Neil decided to help out. 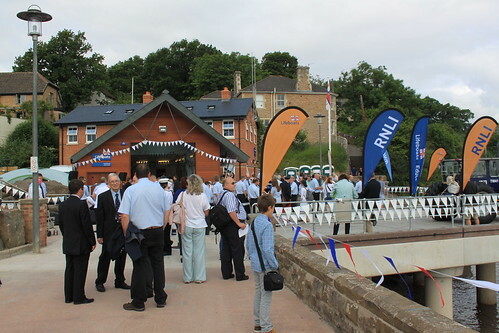 In the boathouse, there were refreshments for the invited guests. 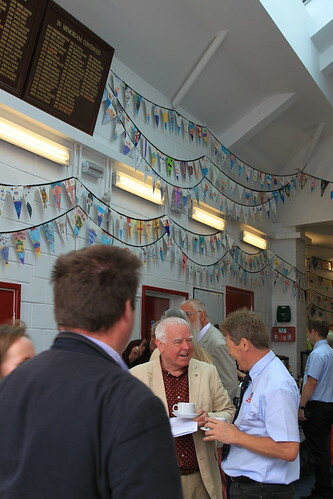 There was also more bunting from the bunting design competition. There were about 1,500 entries, so it was a bit of a challenge to find space for all of it! 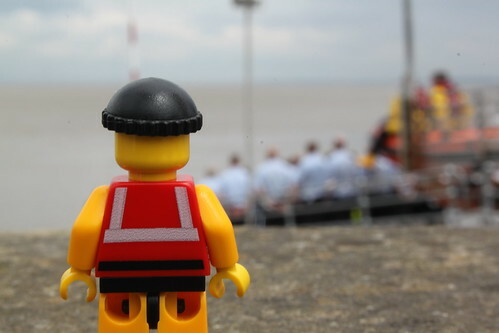 Coxswain Bob, meanwhile, was watching intently as the boat crew assembled for a group photo in front of the lifeboat, once she had been recovered from the water. 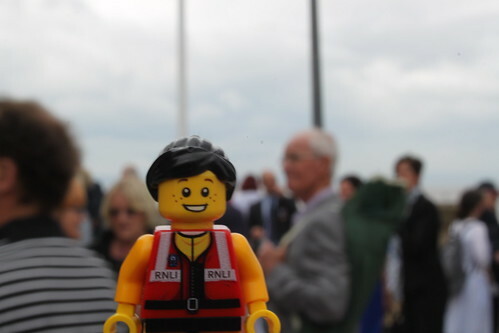 It had all been well worth it, though, as the day had shown just how much local support the lifeboat station can draw upon and had proven once again how deeply people care about the lifeboat and her volunteer crew. It had also been great fun. And after all of that planning and preparation the station is now officially open!